On some deeper level, maybe it doesn’t matter how something repeats – whether it’s looped in a pedal, looped in software, or simply repeated by a human player, for instance. On another level, given just how much repetition matters to music, maybe that’s why we care so much about how it’s accomplished. There, we get to learn more about the process behind Battles’ dense, hypnotic sound. The film is a bit long, but there are some telling moments. 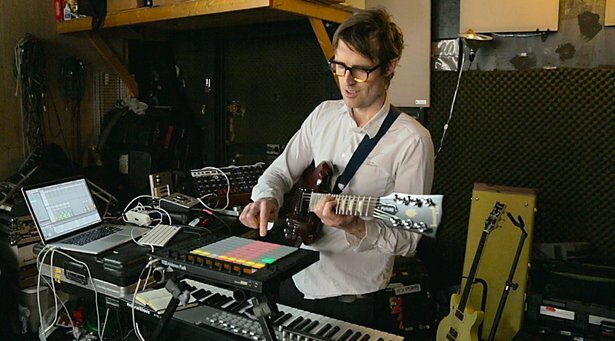 For guitarist, keyboardist, and Ableton Push instrumentalist Ian Williams, who’s naturally in Ableton’s spotlight, all that process is effectively digital. (I notice he’s got the Universal Audio Apollo Twin as interface, as well; I was recently singing the praises of the ability to do DSP live onstage.) The same relationships take place in software instead of being physically cabled between gear. That said, I find it interesting that the recording process for the band involves a lot of “real-for-real” miking of amps and the like. A lot of the video focuses purely on the compositional process. It’s also noteworthy to see Ian’s approach to Push. Now, to me, one disadvantage of Push is that you lose everything you’ve learned in terms of muscle memory and the sound you produce. But Ian argues that’s a feature, not a bug. “It keeps it kind of strange – that’s the key,” he says, and accordingly shows off Push chops as a way of getting past habits directly to “just listening” as you play. He also uses his multi-instrumentalist approach to make the keyboard sound more like a guitar, guitar more like a keyboard. I’m fascinated by the way bands use laptops onstage. The reality is, I think we’re all so used to laptops that they aren’t the obstacle they once were – for audience or artist. It comes down not to a philosophical choice so much as an implementation choice, and you should definitely do whatever makes you feel most comfortable. Here, it’s nice to see both working. Also – duct tape on headphones and beds in the studio. You know it. Enjoy, by way of dessert, the lovely “My Machines” video. 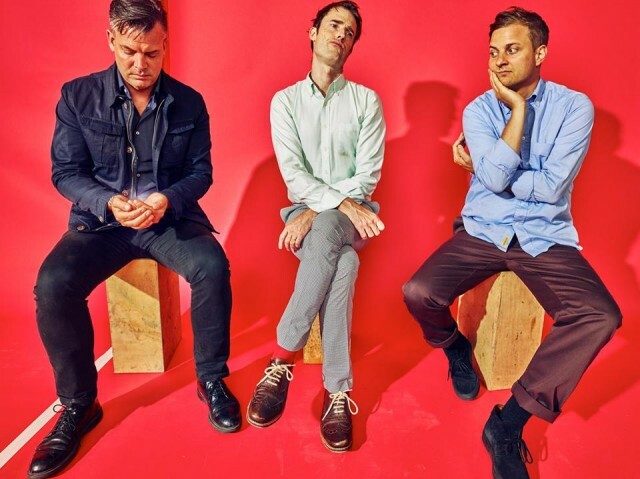 Battles is on Warp Records, so you get a nice connection between the world of the rock band and Ableton’s experimental electronic roots.